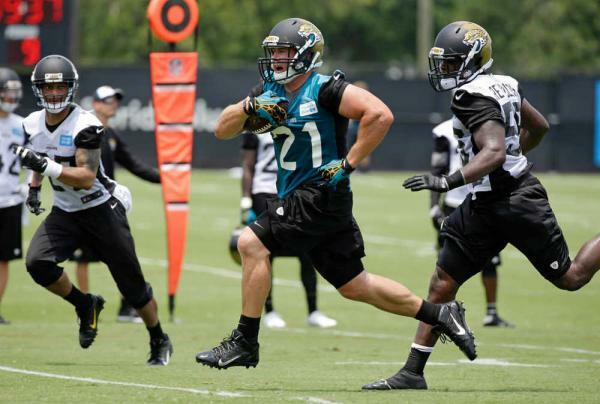 As expected, Toby Gerhart is expected to get a bulk of the carries in Jacksonville. Gerhart has plenty of tread left on the tires and is an interested dynasty case. He should top out as a RB2. The Steelers are permanently installing the no-huddle which will mean more plays for the offense and an uptick for all players. For those holding out hope that Matt Barkley might develop into something of value in dynasty leagues, you could probably move on. In some positive Marcus Lattimore news, he looks better and more explosive. The 49ers running back situation is one of the most tenuous in dynasty. This entry was posted in Daily Update and tagged marcus lattimore, matt barkley, toby gerhart. Bookmark the permalink.